ShobhaRani Vedala, Niranjan Paul, Abhay B Mane. Background: Pulmonary function assessment has achieved a lot of importance nowadays owing to a steep rise in air pollution. Lung function parameters tend to have a relationship with lifestyle such as regular exercise and non-exercise. Hence the present study was under taken to assess the effects of exercise in athletes on respiratory system and compared with sedentary group. Aims & Objective: To compare the differences in pulmonary function test among the athletes and sedentary group. Materials and Methods: A total of 152 subjects comprising athletes and sedentary were assessed for pulmonary function test. The parameters used as determinants of lung function were FVC, FEV1, FEV3, PEFR and FVC/FEV1 ratio were recorded as per standard procedure using Medspiror. Results: Pulmonary Function Profile was analyzed and compared between the study groups. In our study the athletic group were having higher mean of percentage value of FVC 88.0 ± 12.8%, FEV1 of 86.8 ± 22.0%, FEV3 of 86.5 ± 13.7 %, PEFR of 93.0 ± 12.8% and FEV1/ FVC ratio of 92.1 ± 4.4% as compared to sedentary group. Conclusion: The FVC, FEV1, FEV3, PEFR and FEV1/FVC ratio were higher in athletes than in the normal sedentary control individuals. This study suggests that regular exercise has an important role in determining and improving lung functions. Key words: Pulmonary function test, Athletes, Sedentary, Medspiror. 6. Singh HD. Ventilatory Function tests, Normal Standards in Male Adults. Ind J Med Prof 1959;5:2483-2486. 7. Jain SK, Ramaiah TJ. Normal Standard of Pulmonary Function Tests for healthy Indians 15-40 years old, comparison of different prediction equations. Ind J Med Res 1969;57:1433-1466. 8. Aggarwal AN, Gupta D, Chaganti S, Jindal SK. Diurnal variation in peak expiratory flow in healthy young adults. The Indian J Chest Dis & Allied Sci 2000;42:15 &#8211; 19. 9. Gupta P, Gupta L, Ajmer RL. Lung Functions in Rajasthan Subjects. Ind J. Physiol. Pharmacol 1979;23(1):9-14. 11. Malhotra MS, Ramaswamy SS, Joseph NT, Sen Gupta J. Functional capacities and body compositions of Indian Athletes. Ind. J. Physiol Pharmacol 1972; 6: 55-62. 13. Miller MR, Hankinson J, Brusasco V, Burgos F, Casaburi R, Coates A et al. Standardization of spirometry series &#8220;ATS/ERS Task Force&#8221;: Standardization of Lung Function Testing. European Respiratory Journal; 26 (2): 321. 14. Miller MR, Hankinson J, Brusasco V, Burgos F, Casaburi R, Coates A, et al. Standardization of spirometry Series &#8220;ATS/ERS Task Force&#8221;: Standardization of Lung Function Testing; European Respiratory Journal; 26 (2): 326. 16. Stuart D, Collings WD. Comparison of vital capacity and maximum breathing capacity of athletes and non athletes. Journal of Applied Physiology 1959; 14 (4): 507-509. 20. Lakhera SC, Kain TC. Comparison of pulmonary function amongst Ladakhi, Delhi, Vanvasi and Siddi boy athletes. Indian J. Physiol. Pharmacol 1996;39(3):255-258. 21. Adegoke OA, Arogundade O. The effect of chronic exercise on lung function and basal metabolic rate in some Nigerian athletes. African Journal of Biomedical. Research 2002; 5: 9- 11. 23. Pansare MS, Pradhan SG, Kher JR, Aundhkar UG, Joshi AR. Study of effect of exercise on physical fitness tests and pulmonary function tests in tribal girls of Maharashtra. Netaji Subhas National Institute of Sports Edition 1994;3(4):39-43. 24. Shashikala L, Ravipathi S. Effects of exercise on pulmonary function test. 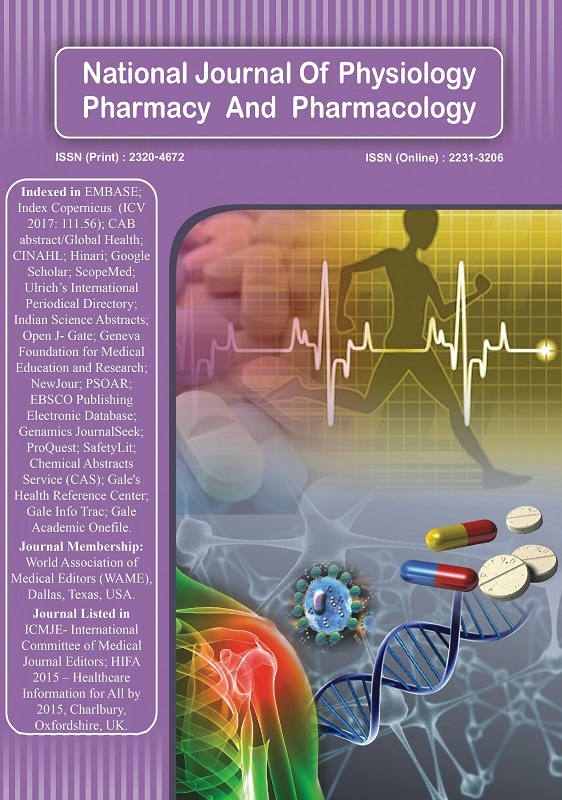 Indian Journal of Fundamental and Applied Life Sciences 2011;1(3):230-231. 25. Hildebrean JN, Georice I, Clements JA. Surfactant release in exercised rat lung stimulated by air inflation. Journal of Applied Physiology 1981;51:905-910. PLoS ONE 2018; 13(4): e0194560. Sports Med 2015; 45(2): 213. Sports Med 2014; (): . Toxicol. Environ. Health Sci. 2014; 6(3): 199.